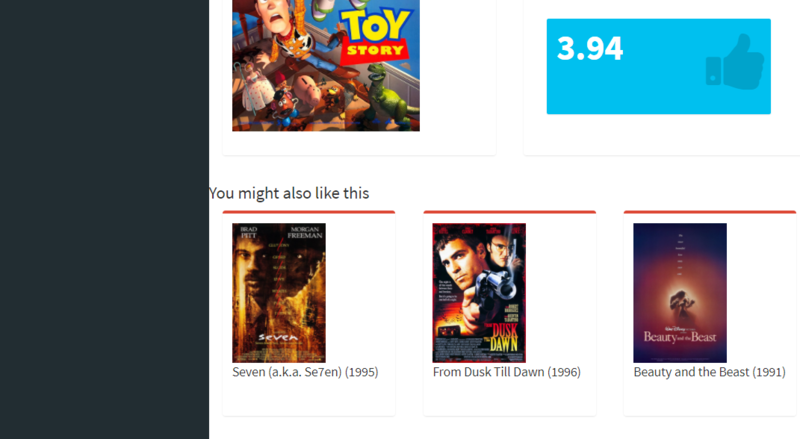 Shiny: spaces between sidebar and "sentence"
So I just deployed my movie recommendation on Shinyapps, but there's still one thing I want to change. Please see the pictures below. Since I didn't want to put "You might also like this" in another box, I don't really know how to adjust it in html/css format. To me, it's too close to the sidebar, I just want to make some spaces between it and the sidebar. By the way, my shinyapps is running very slow now, I am not sure why. It used to run faster. And this application just costs total 4 hours at the moment. If I use free plan, every application have 25 hours right?